What are the Differences between a Dye Ink and a Pigment Ink? 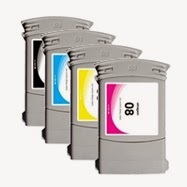 Most printers are designed to use specific type of inks that are either dye based or pigment based. Users can simply follow manufacturers’ instructions and purchase the designated cartridges. 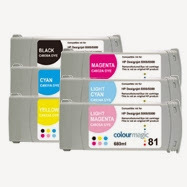 However, sometimes there is more than one type of inks for the printer. The dye based and the pigment based variations are confusing enough, not to mention that there are other types such as oil and soy based ink cartridges. So which one should you use? Generally speaking, pigment based cartridges is ideal when the chosen printing material come with slicker surface, such as materials that require the transparencies setting. In addition, for documents that can be exposed to light or sunlight over a period of time, pigment based is the better choice. If you are looking for vibrant color for photos and intend to keep them indoors, then dye based cartridges is the way to go. In addition, dye based black cartridges produces slightly darker prints compared to pigment, which is ideal when printing text documents. You can always email us for items not found on our website and we will find the unit/s for you at sales@toner-spot.com. All website orders come with One Year Satisfaction Warranty. Remember to use coupon code SAVE10 to receive 10% off your entire purchase. Save even more with free shipping when orders exceed $75!